They say that some of the best ideas are found in the graveyard, buried with their originators. I have had my fair share of dances with hackathons and startup challenges, never seeming to crack the code that leads to winning, funding and eventual IPO! I have had my share of sleepless nights thinking of the next best startup idea that will hit it rich here in Zimbabwe. Transport, energy, payments, classifieds and even sports have not failed to cross my mind. Some to the extent of me investing a few hundreds of dollars, building a team and only to let it go after bumping my head a few times. So here I am. Sharing my ideas. In hopes that someone here can see the vision and run with it. You might be the next big thing after PayPal hitting to Zimbabwe but here’s hoping that eventually this will make a better Zimbabwe for us all. Better yet, why not enter it into the TechZim Surge StartUp Challenge to be held later this year. A portal where one can log in to check the status of electricity in their neighbourhood and make the necessary planning arrangements (either to stay in town or visit a local pub to watch the FIFA World Cup 2014 soccer games or to buy a quick meal that requires very little cooking). The website could sell a device or Android app or this nifty workaround that will send a SMS notification when power goes and/or returns. You could have these supplied for free and charge people per notification or you can get them to pay a monthly subscription that will include the cost of the solution. 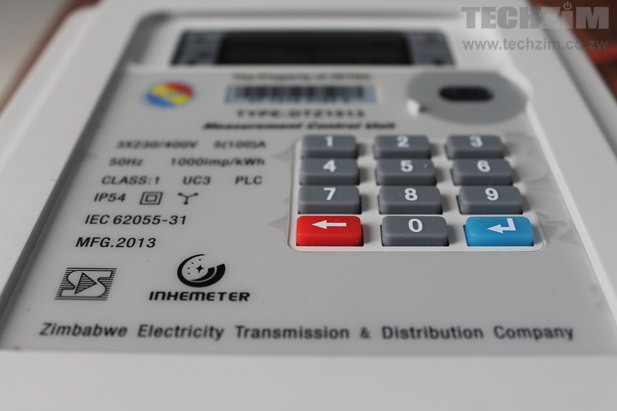 The idea is to make sure that EVERY grid in Zimbabwe has at least one notifier that will advise you when power has gone in that area and the portal will be able to notify everyone who has signed up to the service, that’s connected to that grid to be notified. The obvious better solution is that you directly integrate with ZESA so that when power goes in a certain area they can instantly advise you. Though I would advise for you to wait for hell to freeze before that can happen, you stand a greater chance. The portal can also give tips and tricks of how people can save power, use alternative electricity and information on how and where people can buy prepaid electricity (for when it’s there) at anytime of the day. Service providers that would want to partner (or at least advertise) with this portal are people that offer alternative power (Solar, Generators, Gas stove suppliers, etc), organisations that sell prepaid electricity and even fast food outlets that can deliver food should you feel the need not to get that fire going outside. Having a classified section that will allow people to advertise their products could be an idea too. You could then charge them per advert size or duration. Like I said, this is an idea, something I have had with me for a long time that I feel should not die but rather someone else can take it up and bring it to maturation. For what? No fees. FREE. Nada. Zilch. Oh, did I mention that you don’t have to pay me for such an idea? How would you add value to such a service? What service would you like such a portal to provide? What prices would you be willing to pay for such? Do share in the comments below, so if there is someone willing to take this up they can have a better grasp of the opportunity. Thank you Frank fr the heads up. I appreciate. Yes, we are all so secretive with ideas that we ourselves are either not capable of fulfilling or don’t have the time to execute, thus letting it go with us to the grave. This is not my intention. We need a better Zimbabwe, and though I may not benefit directly from this idea, in the long run it should foster a better Zimbabwe for us all. this would work, if we had a progressive leadership. zesa (more like gvt) wont intergrate with u, never. telling me wen power is out is really not that useful (i can see it already). zesa has no schedule, so u cant say there will be no electricity during the Chile game. Also, its so erratic you even if you try to predict, you will fail miserably. Thank Goboto for your thoughts. The value proposition as more for people who either don’t have a maid at home and are working individuals. This way they can check the status before getting home and finding out that there is no power and then make a plan. A quick ping to the portal will advise them whilst they are still in town and they can plan accordingly. The website can collect data trends, if power goes at your house “almost” every Wednesday at 5pm, then guess what, chances are high that it will go again this Wednesday. How many of our sit down and record the days and times that power goes? Didn’t think so either. Yes, govt involvement (in the form of ZESA) would be great, but through the device and/or app installed at strategic positions the access to information is independent and more trustworthy. Well thought out but key driver is unsustainable when Zesa get their act together. I recall a world bank report that said Zim had the shortest route to self sufficiency in energy in Southern Africa since it could get there by refurbishing existing plants as opposed to its neighbors who had to build new ones. That was in 2008 though and Botswana has built a new one and cruised past us. So maybe be there is hope but there is always a chance that some clever guy could find themselves as Zesa’s CEO and you app/site would be toast. You will agree though that power is a challenge not just in Zimbabwe, South Arica and Botswana but in the region as a large. Yes, we can take it around (doubt over night, if it will be then that will be the longest night ever lived). The pivot could be power saving tips, alternative power classifieds, etc. That is cool. I might be wrong but I take it from the revenue side you where able to do it because Kubatana pays for social service type apps. Would you see it as a sustainable startup, i.e. the one that can scale, attract modest investments and be sustainable. The risk of building something that addresses a gap that is due to bad governance is too high since bad governance can not be relied on to last for ever. Its just like a guy I know who built a good model that relied on the Zim dollar being weak. As we all know, real currencies came on and the rest is common knowledge. Having been involved in it maybe you have better insight you can share. Hi Chris, at the time I was mainly interested in building something that could help me gather some information for Data Science projects. I built it for free mainly in my spare time. The guys at Kubatana are great in that they can allocate other resources to help. The project that we worked on wasn’t clear cut similar to this. It crowd sourced the average time different locations experienced load shedding. We successfully worked on Phase 1 of the project and things got clouded on phase 2 which was the external facing part of the startup. Building something like this isn’t by any margin complex however it is a very useful tool to have. The problem is in trying to find ways that allow people to be engaged on the platform with the right mindset, which in this case should be emphasized as non political but rather a method to understand the pattens in which electricity load shedding agencies stick to for the good. The problem like you mentioned is that Bad governance or management cannot be relied on is true and real. The success of such a plartform would lie in trying to help even those in charge of governance to better their approach in managing the services. If such a tool if built to help them understand the patterns in which load shedding affects the people and better informs them of the reasons the problem of bad governance immediately fades away and the problem becomes easier to manage. The problem with data is , not everyone is happy to use it for the Good. There are people only interested in highlighting the BAD things to highlight their POLITICAL interests. Such individuals badly enough are in abundance as compared to the few looking to express the good. Surely ZESA knows when they will switch off the electricity, there is no magic to that. There could be reasons along the lines that stop them from making that data progressively available. From my side Bad Governance affects us all, we as the people it should protect and help are just as bad is we dont seek to help the system work better for us all. Bad governance reflect the same about the structures responsible as it does to the people on the ground to experience it. Thanks for reading tsano. Any way we could improve on such an idea? Hey Wil, i believe the greatest cost is in gathering the data as it happen, ie checking if zesa is off/on, is the a way to make people pay for the service [to cover the cost, i mean] because there are contacts capable of developing this solution should it get sponsors. Yes there is, ideally you will sell the devices of charge them per set of notifications sent. The devices go for about $100+ however, so it might not be in every household over night. Anyone keen to make this app a reality? My opinion is in an ideal world, Zesa itself should be providing such data on its website (if it has one, which in anyway im not going to visit because its probably a dismally designed eyesore anyway with no cutting edge graphics if you know what i mean) to its customers. The fact that Zesa does not want to reveal that data to the public makes it an easy guess that it wants to operate in the dark, literally and unless the government policies change such app/site is a pipe dream because since Zesa has monopolistic powers, the next thing they will sue you for some infringement somewhere if they feel your idea conflicting with their interests. The Pull Him Down Syndrome is alive and real people and until the mentality changes its adios to many of the ideas that might have easily have meant a few millions into the pockets of some young entrepreneur somewhere and a better Zimbabwe, just my two cents. The idea WILL kick off when we come up with some stuff that shows that we mean business like designing websites and having attitudes sell for themselves not the circus thats currently is being presented by incompetent local web designers, so lets throughly polish our ideas and pull our socks up guys to compete at international level and chakanaka chakanaka hapana angachiramba. Thumbs up to Mr. Chui for the heads up. Let it be known that the author is experienced in these and other issues having worked for a renowned international development agency for years and would be happy to be consulted for discussing more such ideas including some few he has come up with at exclusiveconduit@gmail.com. I remember having a similar idea to this and even discussing it with a friend back in high school. What i would suggest as a workaround for integrating with Zesa is instead having a crowdsource pool of info thus for example if i say Westgate has no power via an app form of some sort, i am contributing info and as others get on the app to do the same we can more or less come up with a map of which areas have been affected. time before this app is truly toast.